With numerous certifications in several different fields of medicine, psychology and fitness, Dr. Rosenberg has a wide breadth of experience in both the public and private sector with particular expertise in the mechanisms of cancer treatment failure. 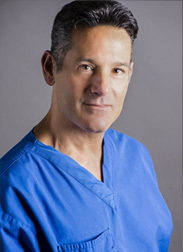 Dr. Rosenberg is an innovator, constantly developing new ideas, techniques, and drugs, to combat incurable diseases. Many countries outside of the U.S. allow novel drugs that have not gone through FDA trials to be administered to terminally ill patients with no other options. Taking advantage of this option, Dr. Rosenberg intermittently travels outside of the country where he treats individuals who are considered end-stage.